Mr Dodd graduated from Imperial College School of Medicine, London 2001. Having completed his general surgical training in the South East of England he went on to specialist training in Trauma & Orthopaedics - St Georges Hospital Training Program, London. He was appointed to the specialist register having completed his training in 2014 and went on to gain further experience with Fellowships at University Hospitals Southampton and the Internationally-renowned Princess Elizabeth Orthopaedic Centre, Exeter. Mr Dodd is a consultant orthopaedic surgeon with a special interest in knee surgery and lower limb joint replacement including arthroscopy (keyhole surgery), cartilage injury including repair, knee replacement (partial, total and revision), osteotomy (limb realignment) and soft tissue/ligament reconstruction. He is married with three children, and a self-confessed cycling and running enthusiast. Mr Laurence Dodd is a consultant orthopaedic knee, sports injury and trauma surgeon offering expertise in reconstructive surgery for sports injuries as well as the latest techniques in early and established degenerative joint disease (arthritis). Mr Dodd’s practise covers advanced arthroscopic (keyhole) surgery for the treatment of cartilage injuries and ligament reconstruction, including Anterior Cruciate Ligament (ACL) Reconstruction. He also has extensive experience and expertise in joint replacement offering a full breadth of treatment options including partial, total and revision knee replacement. Mr Dodd graduated from Imperial College School of Medicine, London 2001. Having completed his general surgical training in the South East of England he went on to specialist training in Trauma & Orthopaedics - St Georges Hospital Training Program, London. He was appointed to the specialist register having completed his training in 2014 and went on to gain further experience with Fellowships at University Hospitals Southampton and the Internationally-renowned Princess Elizabeth Orthopaedic Centre, Exeter. He has extensive training and experience in both soft tissue reconstructive surgery and complex joint replacement. Mr Dodd continues to research new and improved techniques in orthopaedic surgery and is widely published on lower limb reconstructive surgery. He has a passion for developing new strategies to improve patient outcomes relating to joint replacement including research into new techniques in joint replacement implantation. He has presented this work at both national and international meetings. Married with three children and a keen sportsman with particular interest in cycling and running. Mr Dodd is widely published on a number of aspects of orthopaedic surgery. He has presented at national and international meetings. 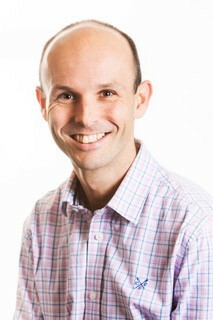 Mr Dodd continues to contribute and develop his practice in line with the latest research and techniques. Mr Laurence Dodd does not hold a share or financial interest in this hospital, another Nuffield Health hospital or the company. Mr Laurence Dodd does not have a share or financial interest in equipment used at this hospital or another Nuffield Health hospital. Mr Laurence Dodd does not hold any paid advisory role(s) at this hospital or on behalf of Nuffield Health.